Celebrate a rich tapestry of tartan history with our Barbour Classic Tartan Collection for men. 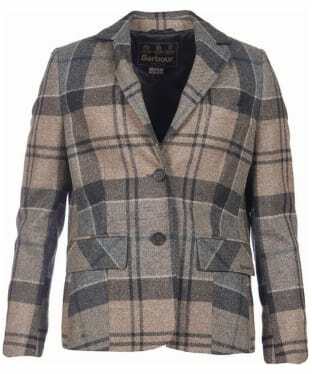 Synonymous with the Barbour brand, tartan has long been a stylish trademark of tradition and colour, featured in many collections year after year. This dynamic collection is a modern take on the original introduction of this pattern in 1998, when tartan specialist Kimloch Anderson did extensive research based on the Ayrshire District Tartan. Re-imagined for today's lifestyle in a plethora of intriguing pieces, a fresh winter approach has been taken - rich in tone, colour and hue with understated subtleties that bring a sophisticated touch. Blues and greens are interspersed with classic tartans in overdyed fabrics and traditional fairisle knits make a striking appearance. 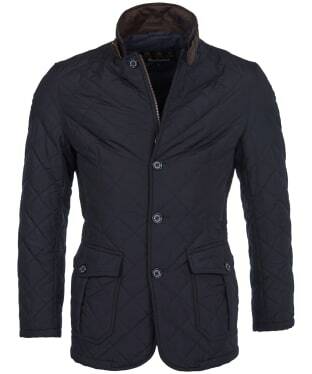 A line-up of wax, waterproof, quilted and tailored jackets stand with stylish knitwear, smart polos and handsomely-cut shirts for a complete wardrobe kit-out. 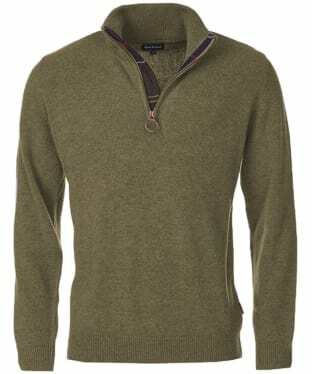 The casual yet stylish Men's Barbour Holden Half Zip Sweater has been crafted from 100% lambswool, for added warmth as the colder days draw in this season. 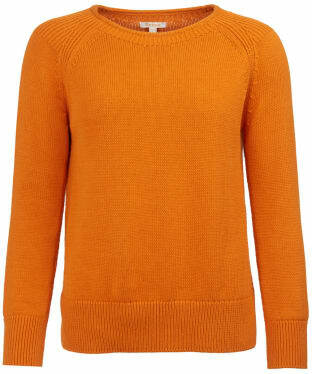 This simple sweater is ideal for your casual style look this season and beyond. 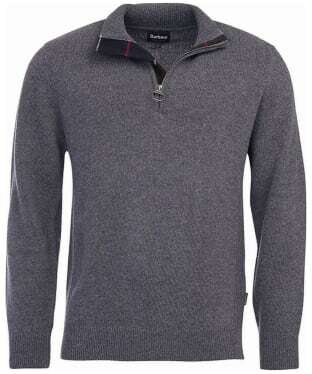 The ribbed neck, cuffs and hem give you added attention to detail and wearability. The half zip neck style gives you a casual and wearable sweater, for added detailing the zip pull has subtle Barbour branding. 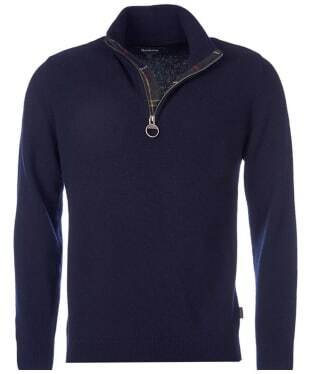 For added style this sweater features the classic Barbour tartan to elbow patches and to the inner lining of half zip. 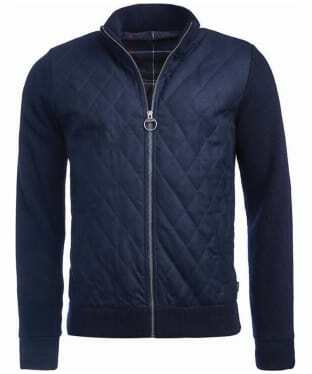 Wear with your favourite denim jeans to finish off your casual look. 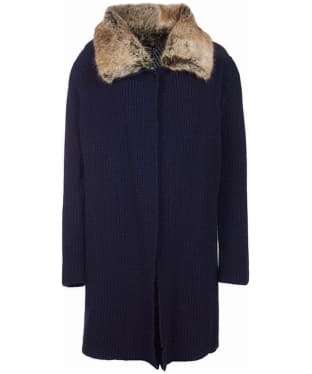 The perfect balance between a jacket and a cardigan, this stunningly elegant and fashion-forward Barbour Bowmore Knit is ideal for layering over your winter wardrobe this season. 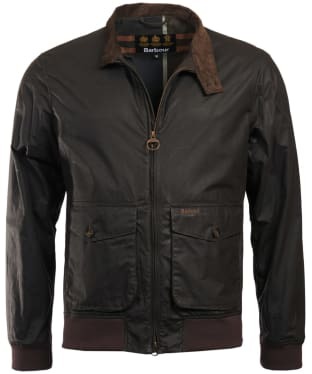 A collarless design, the Barbour Bowmore Knitted Jacket is a long line style with two patch pockets and Barbour tartan labels and a contrast trim for a stylish finish. 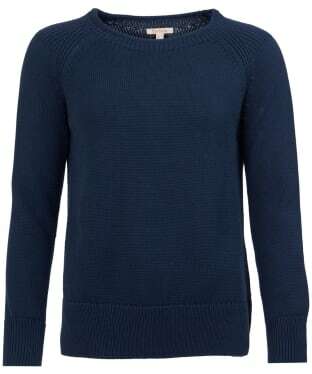 The drop shoulder is great for ease of movement and that classic laid back style, with the Bowmore Knit finished with a simple Barbour branding tag to the back. 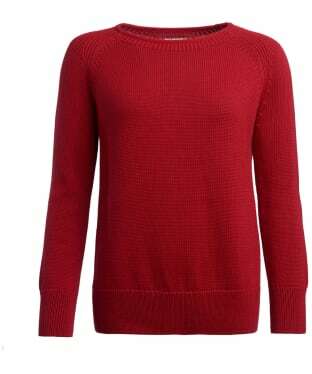 Ideal for layering under your favourite Barbour jacket when the cold weather sets in, the Women's Barbour Portsdown Crew Neck Sweater has been crafted from 100% cotton for a soft and relaxing feel on casual days. 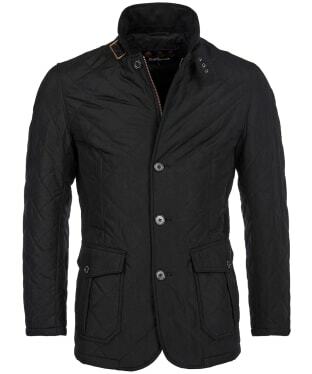 Designed in a stylish plain and rib knit, the Barbour Portsdown can also be worn over a patterned Barbour shirt for a fashion forward look both in and out the office. The design is rounded off with a Barbour branded ID bar to add that final stamp of quality. The Women's Barbour Glen Knit is perfect for wrapping yourself in style and warmth, offering you a stylish two colour marl effect you are sure to love! 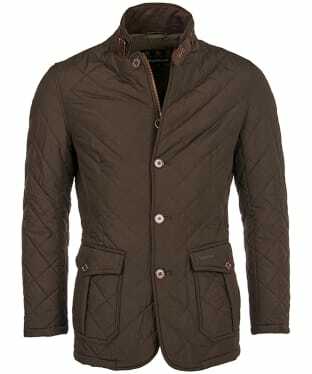 The Barbour Glen has been crafted using a two colour weave knit technique which creates a stylish tartan over check pattern. 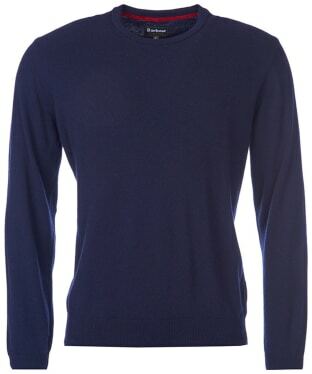 The roll neck collar is perfect for offering you an added touch of warmth on those colder days this season. 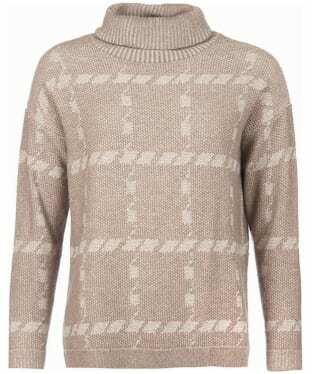 This stylish knit is perfect for completing your casual look teamed with a pair of jeans and Barbour boots. 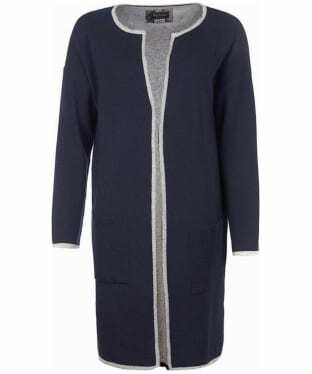 The Women's Barbour Fortrose Knit Cardigan is perfect for adding a touch of style to those casual days this season and beyond, offering you a stylish long-line cardigan you are sure to love! The Barbour Fortrose has been crafted to feature a tuck stitch rib knit which offers you a chunky style knit perfect for adding a touch of style and warmth. 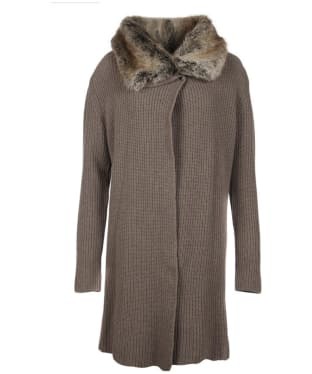 The faux fur collar gives you an added touch of stylish detailing as well as added warmth; the fur is also detachable to offer you added convenience. 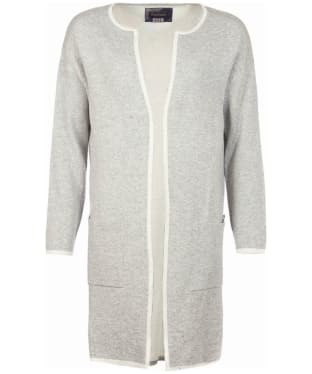 The wrap over styling with popper fastening gives you an easy wear piece which is perfect for this season and beyond. The men's Barbour Avoch Shirt is ideal for completing a smarter look this season and beyond, crafted from 100% cotton for added comfort and breathability. 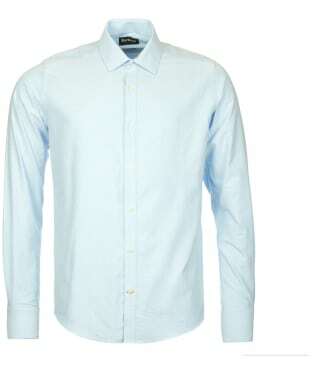 This stylish shirt will carry you from work to weekend with ease, finished with a brushed fabric for an added touch of comfort and style. 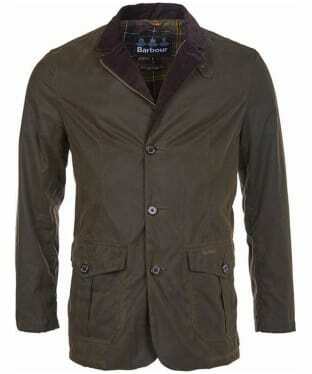 The Barbour Avoch has been finished with Barbour Classic Tartan elbow patches for an added touch of Barbour styling.